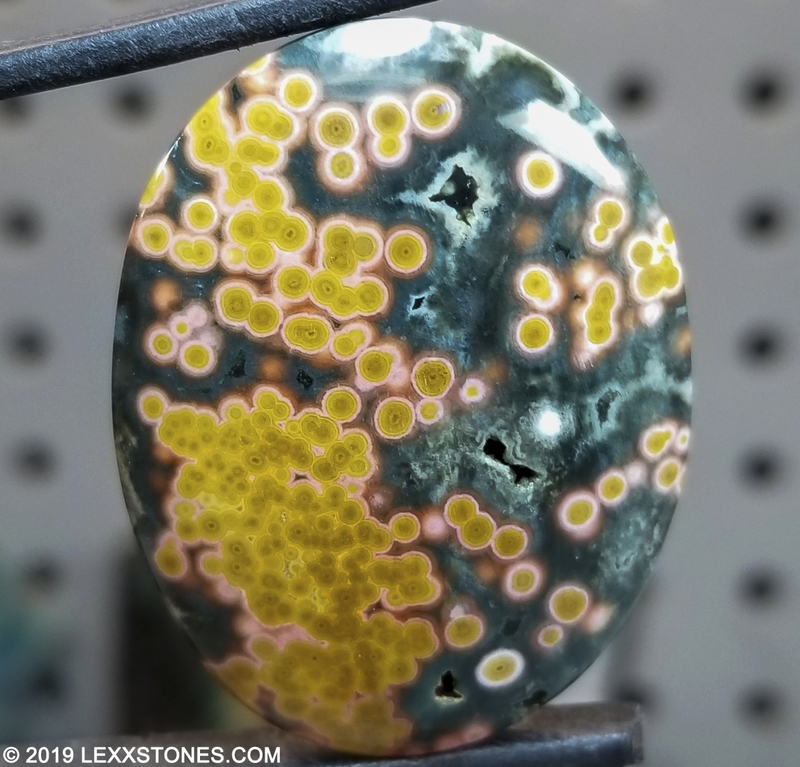 Here for your consideration is an outstanding, vintage multi rung Indian Ocean Jasper Cabochon. 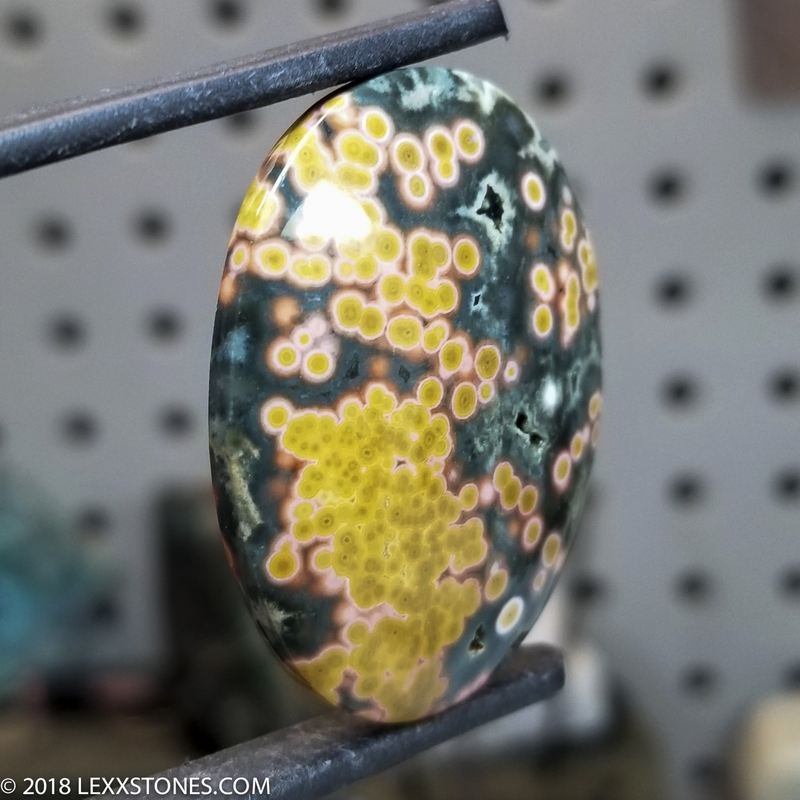 This scarce old stock material exhibits wonderful flowing aqua like deep greens, pinks, crystalline druzy pockets and yellow orbs with random pattern. Vitreous polish front and back. Standard radius dome. 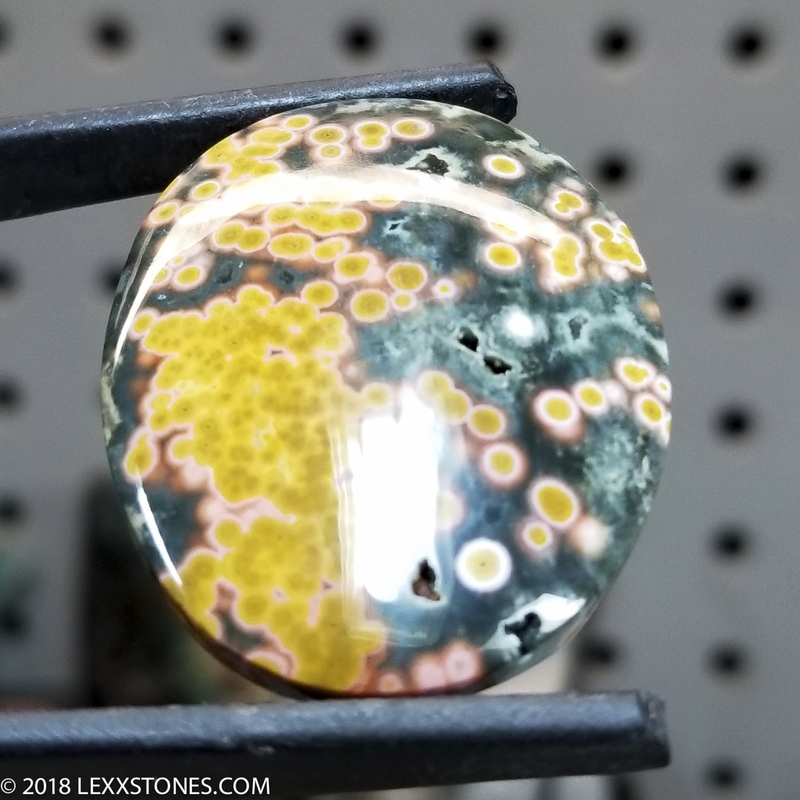 This attractive cabochon will make a bold wire wrap or precious metal setting. Quite an heirloom collectible as well. Skillfully hand cut and polished by Lexx. Photographed dry full spectrum LED's. Custom jobs are always welcome - We Love Creative People! Visit us at TheCuttingRoom.net ! Ships USPS First Class within 24 hours of prompt payment. Please inquire if you'd like Priority or additional insurance.Everywhere Else, Standard Shipping Fees Apply. Sales tax applies to New York State residents.International Buyers Will Be Responsible For All Additional Taxes, Duties, Insurance Incurred With This Sale. Feel Free To Contact Me If You Have Any Questions. Thanks For Looking!